Bela krajina is simply addictive. The Easter eggs of Bela krajina and the “drsanke” are Easter eggs adorned in a particular manner, which you can also admire at the Bela krajina Museum. Every step you take, you will be surprised by Slovenia’s natural and cultural gems. 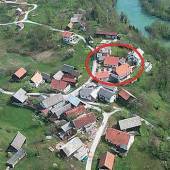 Are you interested in what you need to see in the Bela krajina region? River Kolpa is one of the warmest, cleanest and intact rivers in Slovenia. Šokčev dvor is an open-air museum, which represents a typical farm house of the Serbian community of Bela krajina. At the heart of the Bela krajina region the river Lahinja with its forests, marshes and humid meadows never ceases to amaze. The Krupa River springs under a 30 m high rocky wall not far from Semič. The spring comes to the surface with an incredibly powerful water flow of as much as 1,000 litres per second! The community vineyard cottage is referred to as the "wine bank", which has been connecting villagers and functioning under the system of reciprocity for several centuries. Experience the magic and cultural diversity of the landscape along the River Kolpa. 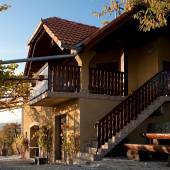 Walk through the rich tradition of craftsmanship and taste the pristine tastes and wines of Bela krajina. The River Kolpa will captivate you with its greenness and colourful intertwining of nature and cultural heritage. Go on a walk on the organised hiking trails along the banks of the river. The southernmost Slovenian hiking trails, such as the Mill Path, Market Trail and Fair Path await you. You can also get to know the river and its natural wealth in a boat. At the edge of Kočevski Rog the Mirna gora mountain hides countless stories of the vast forests and the tough life of the local people. Discover them along four marked hiking trails which guide you to the remnants of a forest railway with an open-air museum. While hiking along the shepherd's trails around the Mirna gora mountain, you will also discover the former life and work of the Gottschee Germans. Visit Adlešiči and the surrounding villages where home-made linen is still being made with typical motifs embroidered in it. Find the Museum of Folk Embroidery. Learn about Easter eggs of Bela krajina and the “drsanke” – Easter eggs adorned in a particular manner characteristic of Bela krajina. 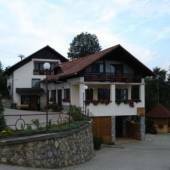 You can also acquire traditional Bela krajina crafts and skills. Discover the beauty of Bela krajina on a bicycle. The diverse countryside with the surrounding Gorjanci and Kočevski Rog provide conditions for family biking as well as for those who like to test themselves on more demanding trails. There are 15 organised and marked cycling trails inviting you to explore. Along the River Kolpa you can take a ride on a rented electric bicycle along the river all the way from Metlika to Stari trg. 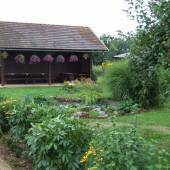 Discover the land by the River Kolpa through a project called Open Doors of Bela krajina. All year round, various providers offer workshops on how to bake pogača flat bread or colour Easter eggs, you can learn about the artistic and historical collections in museums and galleries or you can go tasting local delicacies with wine or honey. Indulge in the summer casualness and visit the summer festivals of Bela krajina. In June, you can visit various events in the framework of the Summer in Vinica event. In August, the old town centre of Črnomelj becomes the scene of Črnfest, the festival of music, theatre, sport and childlike vivaciousness. Between June and August, you can go to Metlika Castle where you can enjoy the international cultural programme. Bela krajina is a land of tradition, which is also reflected in various ethnological festivals. In May, Metlika turns into the Slovenian centre of wine because the biggest wine festival called Vinska vigred takes place here. In June, you can dance with Zeleni Jurij (Green George), a mythological hero from Bela krajina, and folklore groups at the traditional Jurjevanje celebration. And in August, you can discover the traditional wedding ceremony at the Semič Wedding. Enter the Free Bela krajina Territory at the Gostilna Badovinac inn in Jugorje. To do that, you need a special “pasoš” (passport) with lots of benefits with regard to catering services, tastings and workshops. Visit the Department of Foam, the Clinic for Indication of Oil Addictions, obtain a master's degree at the Faculty of Wine Science. Taste the wide range of Bela krajina wines. The traditional Belokranjec PTP and Metliška črnina PTP have a protected geographical origin, and the young wine Portugalka which ripens more than a month before other wines do is also something special. And discover other wines, too, from the dry ones to the sweet predicate wines, ice wines and straw-coloured wines. You can even get various sparkling and honey wines. The Tastes of Bela krajina comprise ten traditional dishes of Bela krajina available at selected restaurants. Taste “belokranjska pogača” (a leavened flatbread), “belokranjska povitica” (rolled pastry), “belokranjsko cvrtje” (mince and bread patties), “belokranjski nadev” (bread, eggs, and ham stuffing in a casing) also known as “semiško fulanje” with horseradish, buckwheat “povitica” with raisins, “belokranjska šara” (a vegetable and bacon stew), cereal sausage (made with millet groats and pork), mutton and cabbage stew, “belokranjski žlinkrofi” (pasta dough dumplings filled with bread and beef lung filling), and an absolute must the spit-roasted suckling pig or lamb. The cultural heritage of Bela krajina is an interlacing of five ethnic groups and three religions on several thousand years of the tradition of other cultures. Travel 2,000 years back into time to the Antique world of the god Mithras in the temple of Mithras near Otovec. The more interesting sacral structures include the pilgrimage centre Tri fare in Rosalnice with three churches enclosed by one churchyard wall. Here you will also find two Orthodox churches and the only two Greek Catholic churches in Slovenia. In the area of Bela krajina there are 13 special protection areas in NATURA 2000, which is 40% of the territory. In Bela krajina lives one of the largest populations of the European pond turtle which is an endangered turtle species. As the first large festival in Slovenia, the Jurjevanje celebration in Bela krajina was awarded the certificate of a Zero Waste Event. Black Proteus or Proteus anguinus parkelj is an endemic species living only in Bela krajina. Bela krajina flatbread is a welcome dish served warm. It is a type of bread coated with an egg and sprinkled with caraway and coarse-grain salt. The traditional way of serving it binds and connects all the people present who tear off pieces of it to eat. Embark on a trip to the surrounding locations. 30km north of Bela krajina, the Dolenjska region with its vineyard hills producing a specific wine cviček and zidanice cottages dreaming among vineyards. Also only 30km away is the Kočevsko region, the kingdom of the brown bear amidst the wide green forests. 37km north, you can visit Novo mesto, where you can see a rich archaeological collection of situlae. If you want some thermal fun, visit Čatež and Posavje, which are only 80km away and where the largest Thermal Riviera with high-end aquatic fun for all generations awaits. After enjoying the thermal pleasures, you can go exploring the castles of Posavje. 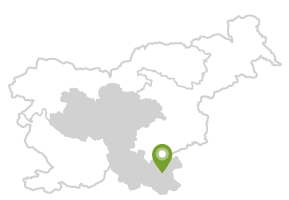 For more information visit the Bela krajina region website.